Affectionately known as the American Riviera, Santa Barbara is a dream destination all year round. It has become a very popular summer destination for most Americans and tourists from all over the world, with pristine beaches, beautiful Santa Ynez mountains in the backdrop, the Spanish colonial architecture, and the warm people make it a slice of paradise this side of the planet. Summer has ended and the fall season has officially begun and the reasons to enjoy Santa Barbara in fall are endless, but we’ll give you a few of our favorites. 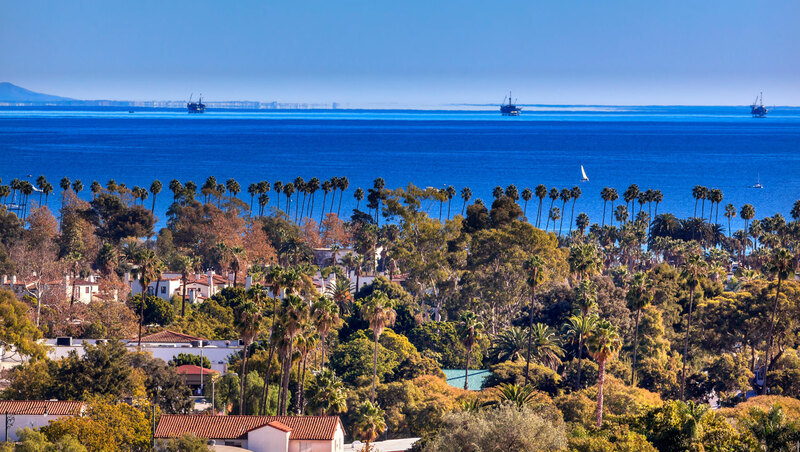 Santa Barbara is blessed with a warm-summer Meditteranean weather mainly because the city lies along the ocean and with the Santa Ynez mountains in the backdrop giving the city cooler winters and warmer summers compared to other cities in California. Summers in Santa Barbara is always fun especially if you are looking to hit the beach. However, the months of September and October are also a great time to visit as the weather remains perpetually sunny due to downslope winds called "Sundowners" with average temperatures ranging from the mid-70s to 80s and little rainfall, the weather is definitely one the best reasons to visit Santa Barbara this fall. With tourists filling up the streets and beaches of Santa Barbara during the Summer season, prices tend to go up for most hotels, restaurants and a lot more. Unlike summer, Fall is relatively calm and more laid back than the bustling city during Summer making it more affordable to book your vacation. Fall season means harvest season for the vineyards in Santa Barbara and if you're on a wine trail, this is definitely the best season to visit Santa Barbara. This is the time of the year that wineries harvest their ripened grapes and turn them into delicious wines. Considered as one of the premier wine growing areas in the country, Santa Barbara has plenty of vineyards that you can visit for wine tasting leading all the way up to the Santa Ynez mountains. We recommend going on a scenic wine tour paired with the beautiful Santa Barbara sunset. Whether you're looking for a nice day at the beach or wanted to hike around Santa Barbara, the Fall season will definitely be an aesthetic experience for anyone visiting Santa Barbara. The fall foliage traverses the color spectrum from green to radiant gold and red hues. The trees of the Santa Ynez mountains erupt with color, and the Pacific, that has been calm and steady for much of the spring and summer, awakens with the best breaks of the year. Coupled with the perfect Fall weather in Santa Barbara, the mountains and ocean are yours for the taking.